The spokesman emphasized Iraqi security forces’ key role in securing the Iraqi side of the border with Syria in Operation Roundup. “Iraqi border guard forces and the Iraqi army have covered the western border as our partners' ground defenses attack ISIS remnants in Syria,” he said. 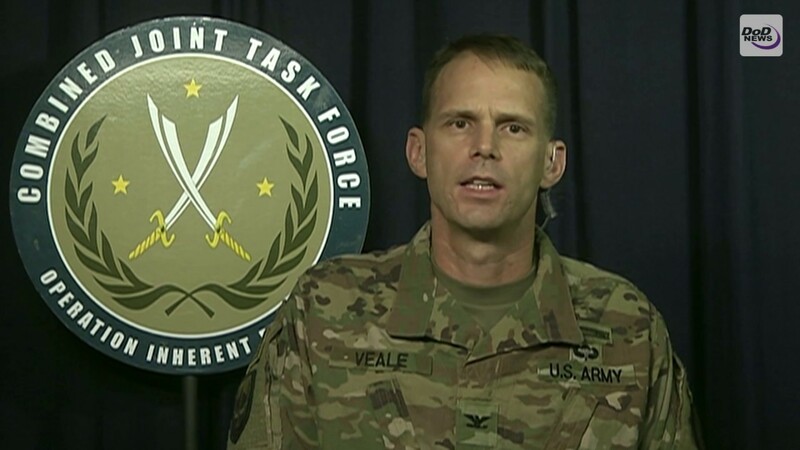 Army Col. Thomas Veale, Combined Joint Task Force Operation Inherent Resolve spokesman, briefs Pentagon reporters via satellite on Syria and Iraq operations, June 5, 2018.